After Tuesday, February 6, the price of bitcoin reached a record level of 6.094 dollars, on Wednesday it began the recovery and exceeded the level of 8000 dollars. 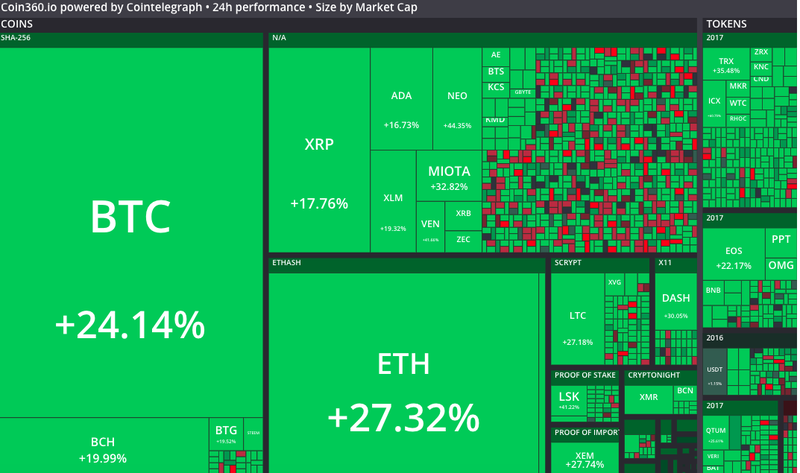 Top 100 altcoins also show growth. According to CoinMarketCap, the price of bitcoin in the last 24 hours increased by 24 percent. At the time of publication of the article, the average price for the number one cryptocurrency is 8,280 dollars. Altcoins also show steady growth. Among the top 10 coins, NEO and NEM grew by 55 and 46 percent, respectively, while Bitcoin Cash (BCH) and Ethereum (ETH) rose 33 percent. 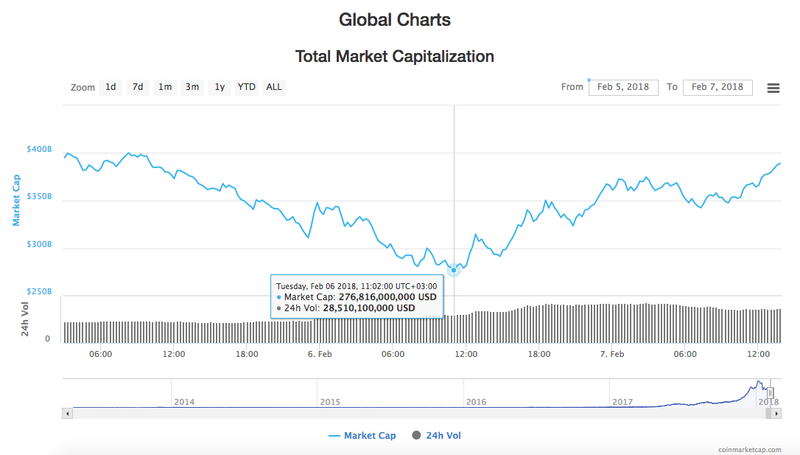 The total market capitalization of all crypto-currencies is $388 billion, an increase of almost 100 billion from a minimum of $276.8 billion recorded on Tuesday. If not bitcoin, DLT was not. — Joseph Young (@iamjosephyoung) 7 лютого 2018 р. — Charlie Lee [LTC] (@SatoshiLite) 6 лютого 2018 р.